If you are not sure what trout eat then you might have some difficulty catching one. Trout are catholic feeders and will eat just about anything smaller than itself. There are literally millions of species of insects and at some point or other trout will have devoured many of them. The good news is we don't have to copy all these insects to catch fish and this basic entomology page will arm you well enough to make good judgements about what the trout are feeding on and to tie on a suitable fly pattern to deceive the trout. A small mayfly dun. Fly fishers refer to these small mayfly as "olives"
On the river the duns (pre-adult stage) of these insects are unmistakable. They look like little sailboats floating happily downstream. 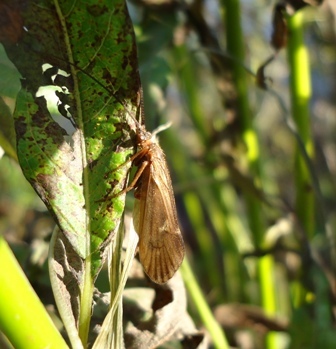 They are an ancient order of insects and there are hundreds of species that vary in size form a few mm to the actual mayfly itself (Emphemeralla danica) which is up to 5 cm long. Trout like to eat most species of mayfly. 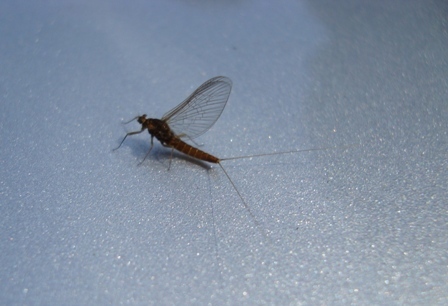 Mayfly often hatch (emerge from the water) from the middle of the day onwards and often in large enough numbers to cause a rise. A rise is basically how fly fishers describe surface feeding trout. In order to catch these trout a dry fly that matches the natural insect is used and we will see more on that in the next link. A mayfly/olive spinner. The final adult moult. Note the clear wings compared with the dun stage. If the pretty delicate mayflies escape the ravenous trout they undergo a further moult into the adult stage known as a spinner. These spinners can often be seen dancing above the stream, a mating ritual. Spinners often fall into the water and cause trout to rise to them. This is known as a spinner fall. Although mayflies are regarded as the most important aquatic insect by fisherman if the trout had a vote they would say caddis are the most important. The adult fly is easily identified with its tent shaped wings. If you see caddis flies flying over the river or in the braches of trees then chances are a similar artificial dry fly will work. It is especially good fished as a pocket pool dry fly or in faster water. When adult caddis flies lay eggs or emerge from the river they can whizz and scoot in all directions on the river. This can have implications for how we fly fish. However, it is the nymph or larval form of the caddis that is most important to the trout, and therefore also us as anglers. Some larval forms of caddis are predatory and will seek out smaller nymphs as a food source. Many species of caddis build themselves a house crafted out of gravel and sediment in the river bed which they carry around on their bodies similar to the hermit crab. These “cased caddis” and are a very common food source for trout and grayling. 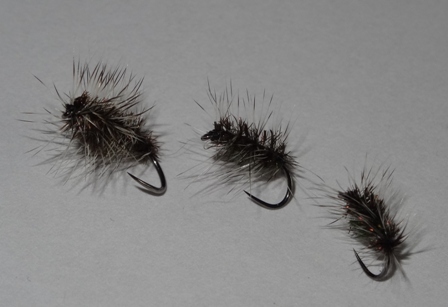 Therefore when fishing nymphs in the absence of hatches, caddis patterns are always useful and can be deadly. Many of the modern fly fishing techniques such as Czech or Polish nymphing use many patterns which imitate the nymph stage of the caddis. Stoneflies are prehistoric ugly looking beasties. Their wings are folded flat across the back. If the mayfly are gracious and beautiful then stoneflies are the opposite. They have a need for clean fast flowing waters. 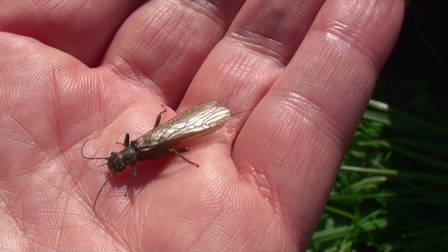 The first any river angler often knows of a stonefly is it crawling across the neck or hand. Some species of stonefly can hatch directly onto the rivers surface but usually crawl out onto exposed rocks or even the fly fisherman standing in the river. Species can be very small (willow fly) to huge (salmon fly). They vary in importance from region to region and from river to river. Midges are generally very small flies and in years gone by were largely ignored by river fly fisherman who fished fast flowing alpine style streams. Larger items and specifically mayfly and caddis flies are generally more imitated to this day by hundreds of fly patterns. 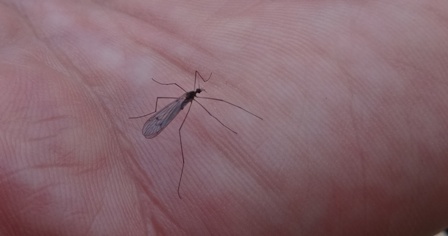 However midges also known as Buzzers/chironomids are important items on the trout’s menu although this importance has much to do with location in the river. Chironomids are the most diverse and abundant invertebrates in rivers they inhabit. They can hatch all year round. Many species can withstand significant reductions in dissolved oxygen and are therefore present in slow/sediment laden sections of river. Even in clean fast flowing sections of river they can play a pivotal ecological role by as primary consumers harvesting detritus and supporting other animal communities such as predatory caddis larvae. The importance of midge to the typical river fly fisher is often misunderstood. If trout become selective during a midge hatch then only a midge pattern will work. The Griffiths gnat is a perfect dry fly when trout and grayling take midge at the surface of rivers.